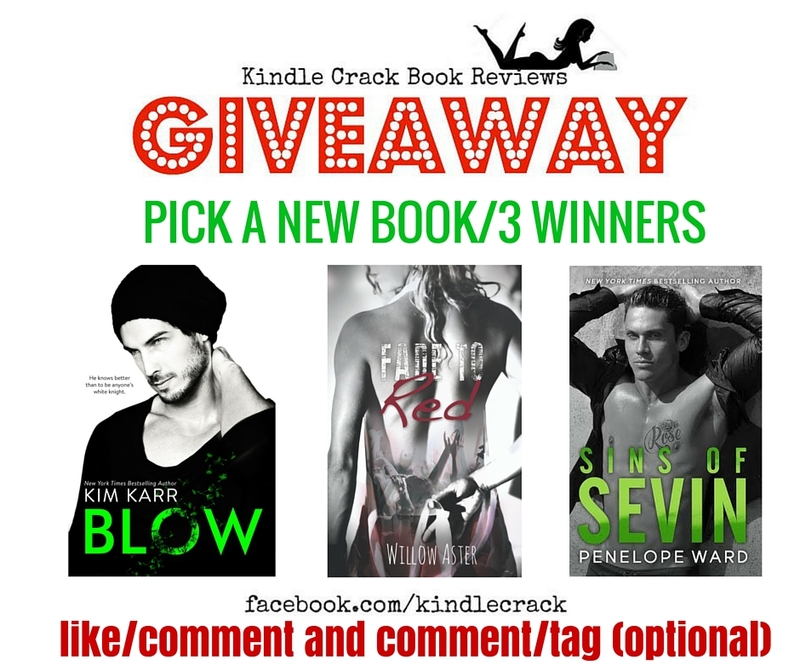 Who wants to enter for a chance to win a copy of Sins of Sevin by Penelope Ward, Blow by Kim Karr or Fade to Red by Willow Aster/Author? I read and LOVED them all! ➜➜COMMENT/LIKE THIS POST on Facebook or Instagram – Tell me which book you would like to win! ➜➜➜TAG/SHARE w/a friend – Optional (but SUPER appreciated). Sharing is caring. *ON 9/26 THREE random winners will picked to receive their ebook choice via Amazon only.